Google posted on their official blog a thank you to the top contributors who spend countless hours helping support Google products and services without compensation. 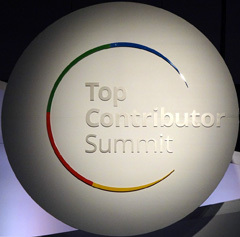 As you know, the other week, the top contributors were mostly at Google for a special summit. Yesterday, Google recapped the events on their blog and called them a "critical part of the Google family." I am not sure of the raw number of Top Contributors, but Google did say they "contribute to 250 product communities in 26 different languages." I know many TCs myself and for the most part :) they are outstanding people. To learn more about this program, go to google.com/get/topcontributor. Forum discussion at Google+ & image credit to Sasch Mayer, a TC.